Herbert Zimmermann, born near Kitzbühel, Austria, in 1978, entered the music scene quite late. He first had planned a career in tourism, which was interrupted and came to an end in 1999 when he was called into military service. Once he began playing in the army band, the question soon arose as to whether the 21-year-old might still benefit from professional study. At the turn of the millennium he sought a new direction for his career, and studies with Andreas Lackner at the Tyrolean State Conservatory marked the path that ultimately took him to Bavarian Broadcasting. Right after the beginning of his studies, he joined in a number of youth orchestras, such as the Gustav Mahler Youth Orchestra in 2003. He then entered the Academy of the Symphonieorchester des Bayerischen Rundfunks in 2005. That same year, he also played in the Orchestra Mozart under the direction of Claudio Abbado. 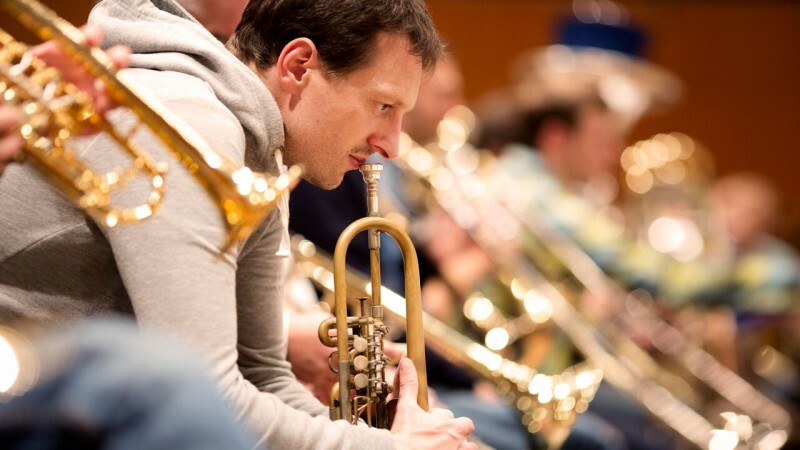 After a year in Berlin as trumpeter in the Konzerthausorchester, he began his quest for a musical home and returned to the BR Symphonieorchester in 2007. Anne Schoenholtz, violinist in the BRSO, and Herbert Zimmermann (trumpet) prove how different career paths of two professional musicians can be.